Justin Horowitz's winning #CaptureCathy photo. Courtesy of Justin Horowitz. The Student Government Board Traditions Committee held its first meeting of the semester Sunday night in the William Pitt Union. The Traditions Committee, a subgroup of SGB, works to strengthen and preserve Pitt’s most cherished traditions. After a two-year absence, the committee reemerged as a part of SGB after board member Natalie Dall and the Blue and Gold Society collaborated to re-establish it last March. Dall, a junior molecular science major, met with two committee members for a meeting Sunday night to debrief after last semester’s final activities and brainstorm plans for the future. The fall semester ended with the Traditions Committee’s #CaptureCathy competition on Instagram. Committee members reflected on its success, stating they received more than 50 pictures of the Cathedral from which they chose five finalists. Ultimately, the committee announced the winner, Justin Horowitz, at the Alumni Association’s annual Cathedral Ball Dec. 11. 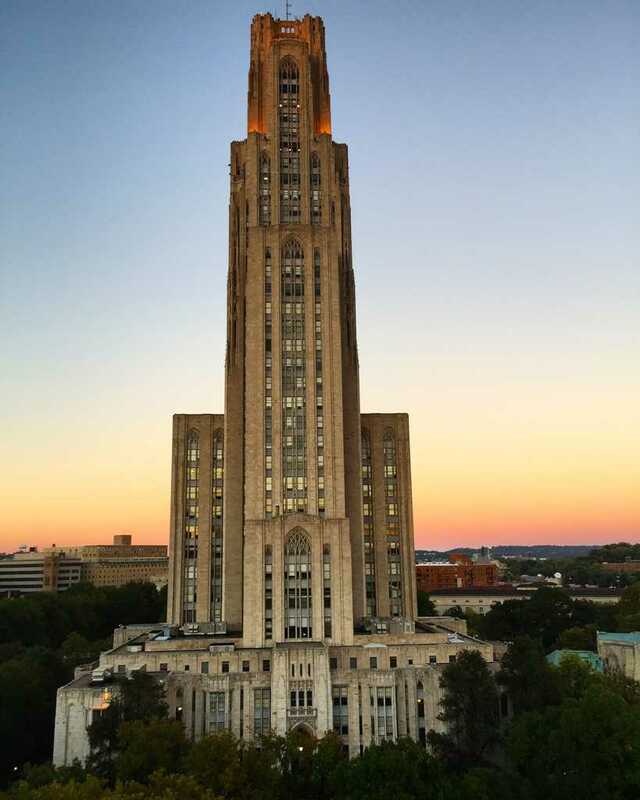 The committee has plans to use Instagram to institute “Tradition Tuesdays.” These posts will include old photos, stories and articles from The Pitt News’ archive. Committee member Stephen Berry, a sophomore studying political science and economics, suggested working with the Oakland Zoo and athletics for a throwback-themed basketball game. Ideas included using wearing old Pitt colors and script and sharing moments of Pitt’s basketball history on the Jumbotron. In hopes of replicating the success of the #CaptureCathy event, Dall suggested another photo competition that incorporates another important aspect of Pitt’s history. Seeking to preserve Pitt’s history and strengthen existing traditions, the committee would like to plan an event prior to this year’s Bigelow Bash in April. They discussed a few different possibilities, including a pre-bash listening party to familiarize students with opening bands, and a showcase of old performers to discuss their successes.